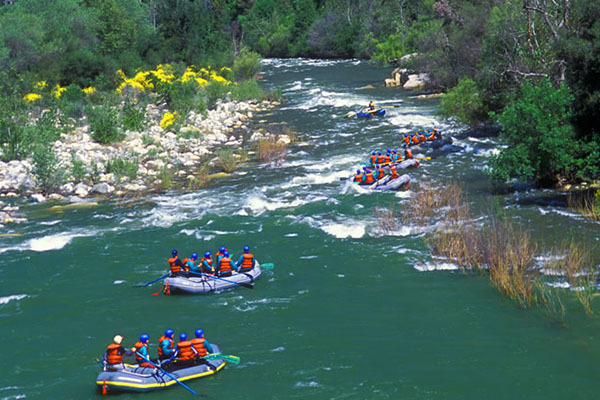 Whitewater rafting trips on the Class IV+ Kaweah River located just outside of Sequoia National Park feature continuous thrilling rapids with a scenic alpine backdrop of snowcapped mountains. 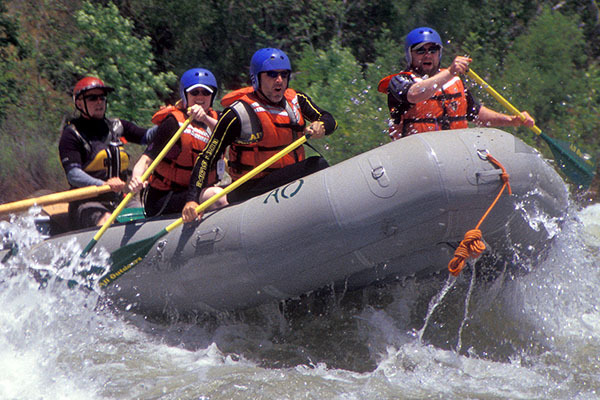 Previous rafting experience is highly recommended, as there is no time to learn to paddle! Just downstream from put-in, Class IV Willows rapid starts your day off with a bang! From here the whitewater is ceaseless--each corner twirls into a new rapid and each new vista reveals another tumultuous chute. It is hard to imagine having any more rapids packed into this relentless run. After Upper and Lower Slicky, we stop at a riverside restaurant for a hot lunch. But your whitewater adventure is hardly over, you still have several rapids to tackle before we take-out in Lake Kaweah. The itinerary above may be altered due to a range of variables, including river flow levels, time of year, and other factors. During periods of high water we sometimes run a morning to early afternoon trip or late morning to late afternoon trip. Contact us if you have any questions. There's no stopping once you begin a Kaweah River trip. The river rushes through boulder-choked passageways punctuated by powerful hydraulics. Some rapids are long while others are sudden and extreme. Just remaining in the raft can represent an accomplishment on this lively run! 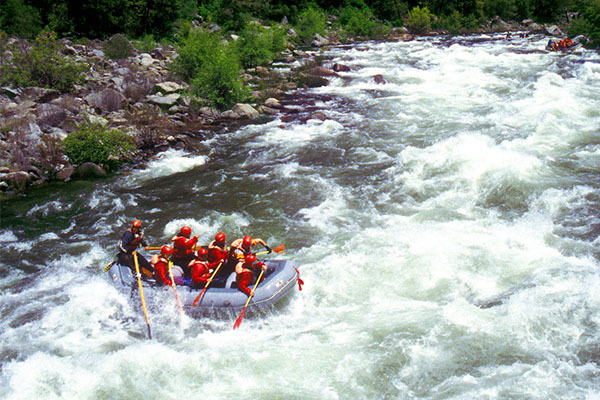 Technical and deft maneuvering is required to successfully navigate many rapids. Consider yourself a master paddler after tackling the Kaweah! The Kaweah's canyon is low and open. Its riverbanks are made up of private lands and homes and are largely hidden by multitudes of willow and alder saplings. The gentle rolling hills beyond the river canyon explode in greenery and the colors of wildflowers. A quick look upriver exposes the crowning peaks of Sequoia and Kings Canyon National Park where the Kaweah originates. Four hours from San Francisco, and three and a half-hours from Los Angeles, the Kaweah is the most southern river All-Outdoors runs. Nearby highways include 99, 198, and 65. The Kaweah is a free-flowing river. With no upstream dams, the river depends on snowmelt for its flows. 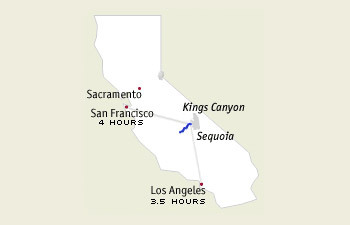 The Kaweah begins to run when the snow begins to melt in the mountains. Flows generally peak around Memorial Day. 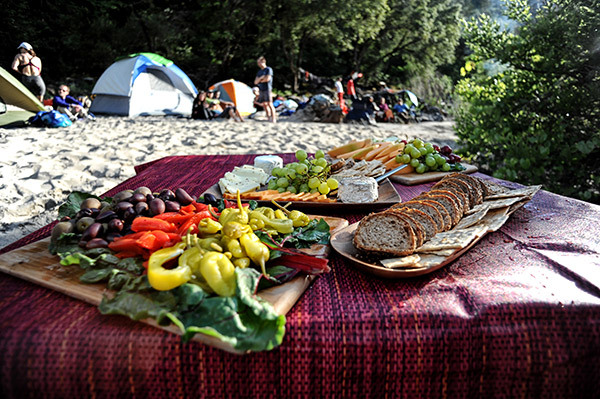 Kaweah trips offer an unusual and fun meal opportunity–lunch at a restaurant along the river! Burgers, BLTs, and turkey sandwiches–you order what you want and we pick up the tab! Sit back, dry out, and enjoy a meal on the deck while the river flows by your feet. 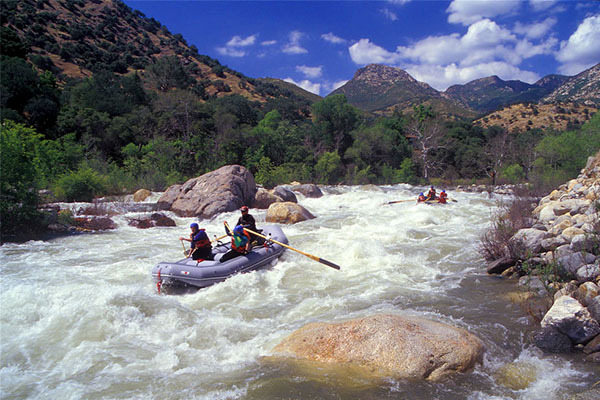 During normal water flows, All-Outdoors operates paddle rafts on the Kaweah. In a paddle raft, each guest and a professional guide have a paddle and navigate the river working as a coordinated team. In high water situations, we may opt to run oar-paddle combination boats (a professional guide steers the raft with oars while simultaneously calling commands to paddlers). All guests should be able to swim. "It was a great day, exciting rapids, water levels were high . The staff was extremely nice and professional. This was the best rafting trip I have had on a California River so far."